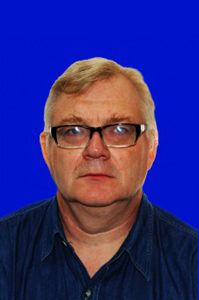 Trikov Valentin Vladimirovich senior teacher of the ICS department. He graduated from the Karaganda Polytechnic Institute in 1992 with a degree in Automation and Mechanization of Information Processing and Information Systems. From 1989 to 1993 he worked as an engineer at the department of AIS. From 1993 to 2006 he worked as head of the laboratory. From 2006 to the present, he is a senior lecturer in the ICS department. The responsibilities include: conducting lectures and practical classes in the field of “information systems”, “computing equipment and software”, the development of training and methodological complexes of readable disciplines, performing research, educational work. It is financially – responsible person in the department of ITT, responsible for safety engineering and civil defense. Direction of scientific activity: microelectronics, circuit engineering, computing systems, computer networks, means of data transmission. He is the author of two teaching aids, two articles, 6 abstracts of conferences. Схемотехника : Учебное пособие. . – Караганда: КарГТУ, 2008. Схемотехника : Программа обучения по дисциплине для студ. спец. 050703 – Информационные системы. . – Караганда: КарГТУ, 2008. – 16 c.
Организация вычислительных систем и сетей : Программа обучения по дисциплине для студ. спец. 050704 – Вычислительная техника и программное обеспечение. . – Караганда: КарГТУ, 2008. – 14 c.
Схемотехника : Учебное пособие. . – Караганда: КарГТУ, 2007. Методы и средства передачи данных : Программа обучения по дисциплине для студ. спец. 050704 – Вычислительная техника и программное обеспечение. . – Караганда: КарГТУ, 2009. – 18 c.